Posted on October 31, 2010 by Shana N.
As a kid, Mom always made our costumes or it was something that took very few dollars to put together. My Brother and I never felt shorted and our costumes were always fun. I was a witch, a gypsy, Cyndi Lauper, a vampire and other easily pieced together outfits. It brought our creativity to the table. I think my husband was a little impressed with my wolf face painting skills. No need to use the oil paint that would itch and be on everything, I pulled out brown and black eye shadows and bronzer for base, along with eyeliners. He was complemented on his face all night long. A little fur on his hands and some old pointy ears I had from an outfit 4 years ago and he was set. I’ll post a better picture later this week but for now….iphone quick capture! Favorite old meets favorite new! I can’t stop listening to this on repeat. I demand more…..please…..with a cherry on top! Posted on October 30, 2010 by Shana N.
I can’t believe October is almost over. Time flies when you are learning new things! This month I am especially thankful for Terrell. My husband makes me hella happy. He has the right encouraging words when I feel like I’m not getting something, he knows what to say to make me chill out and he offers the best advice on how to fix a situation. He is my rock, my best friend and my biggest cheerleader and without that this year I don’t know if I would still have my sanity. 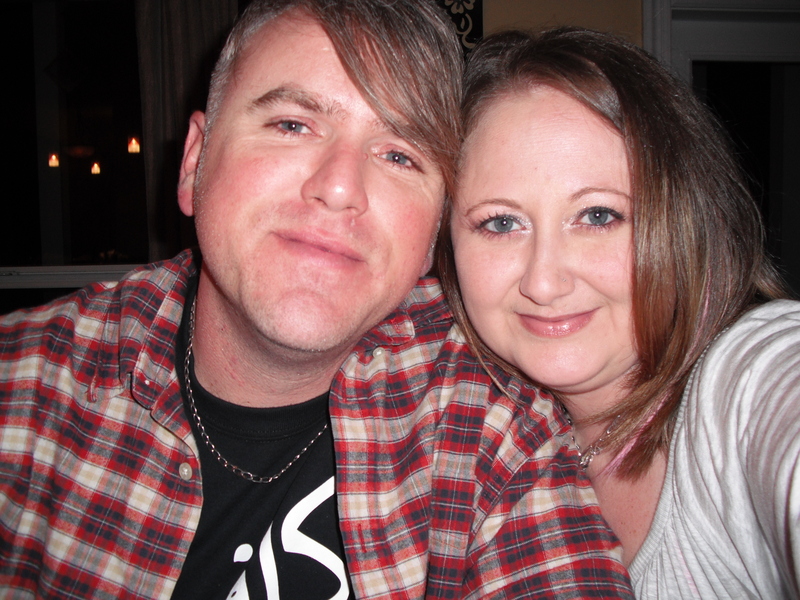 Friday is our 10 year wedding anniversary. Happy Anniversary Sweetness! I love you more than I sometimes can even express. Joining hands with you and promising to be your wife is the best thing I have ever done. My car is making me all sorts of happy. My car is officially PAID OFF! WooHoo! I need to celebrate the occasion correctly though. My car to be washed and shined and made to look pretty. 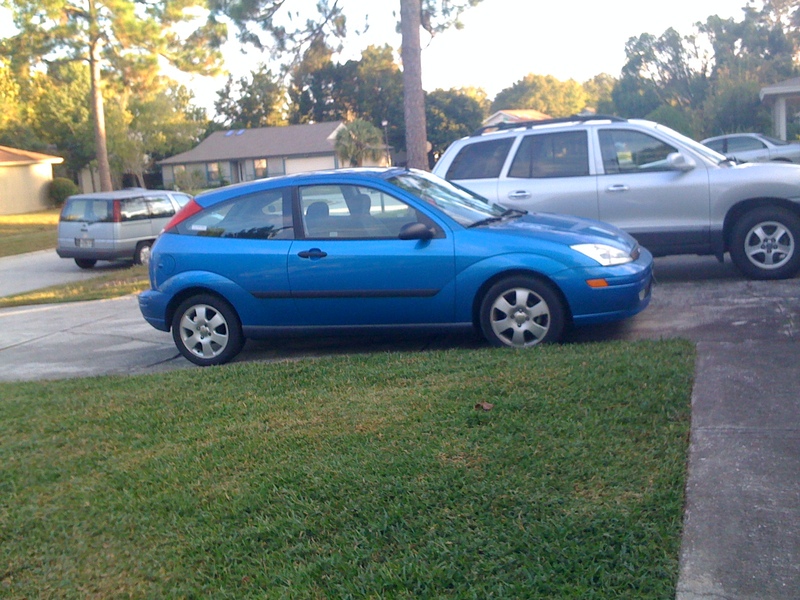 She had some problems last month and it turns out she needed a tune up at 70,000 instead of the recommended 80,000 so with that my little blue Betty (A blue Ford Focus 2 door with hatchback) is running like she’s young again. So we are down to having just one car payment and it’s a great thing. I plan on using the money to go to our house fund. Put away some of the money that would have gone to the payment and pay off bills with a little of it as well. Ahhh! * The new Interpol album is dreamy * I love Halloween! 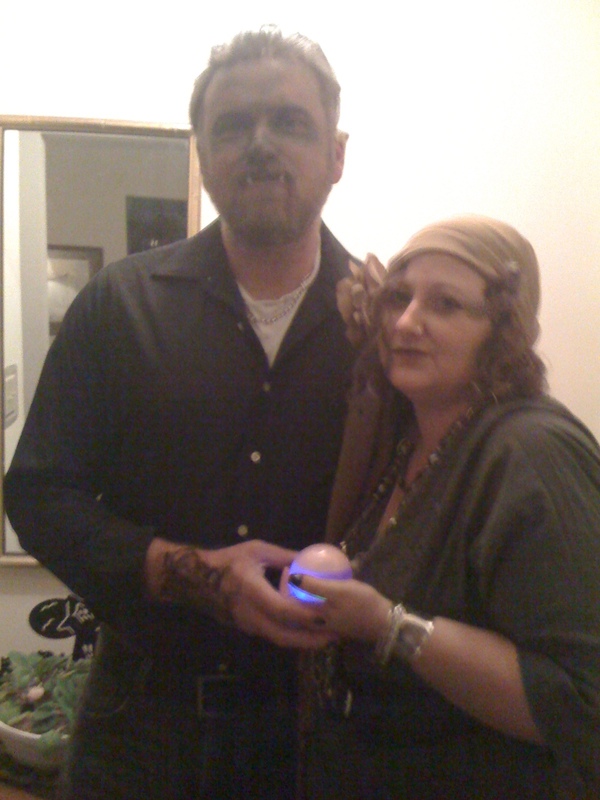 Dressing as the gypsy from the movie The Wolfman (1941) and husband is going as The Wolfman (Lon Channey Jr.) * Plans to get away this next weekend have me excited! Getting a room on the water somewhere! *This replica of an old aluminum ad, perfect for me (and matches the gross wall paper oddly enough!) and was a cheap find! * These cat eye glasses that I paid $8 for will be my new glasses soon (so I’ll have 2 pair nice normal, and sassy fun cat eye!) * We went to Rocky Horror Picture Show last weekend (I won us tickets on Twitter) it was a lot of fun! The cast was great! * Playing with Honey in the backyard, her bunny hops make me laugh. * Kind of obsessed with new genre Witch House, its strange and fun! 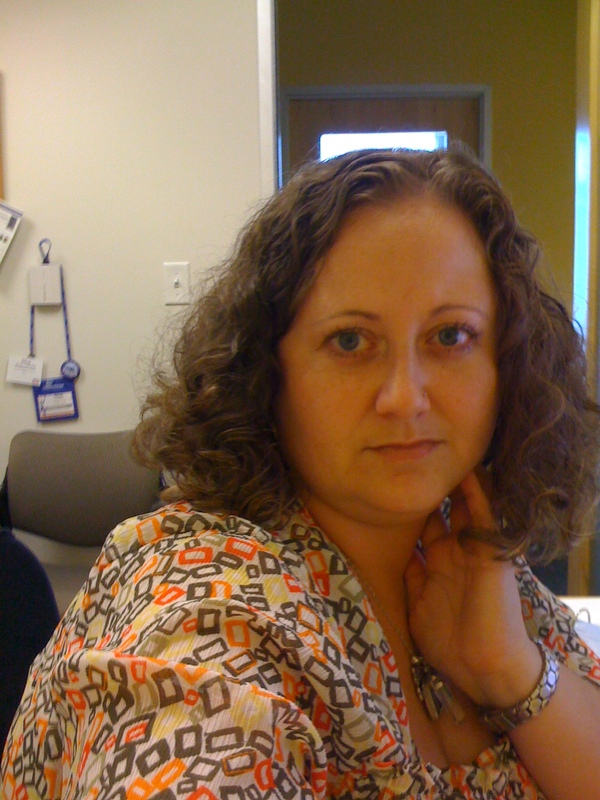 Posted on October 1, 2010 by Shana N.
This week I think the number one thing that has me happy is the job. All else could be black and dismal and I would still have a grin from ear to ear. 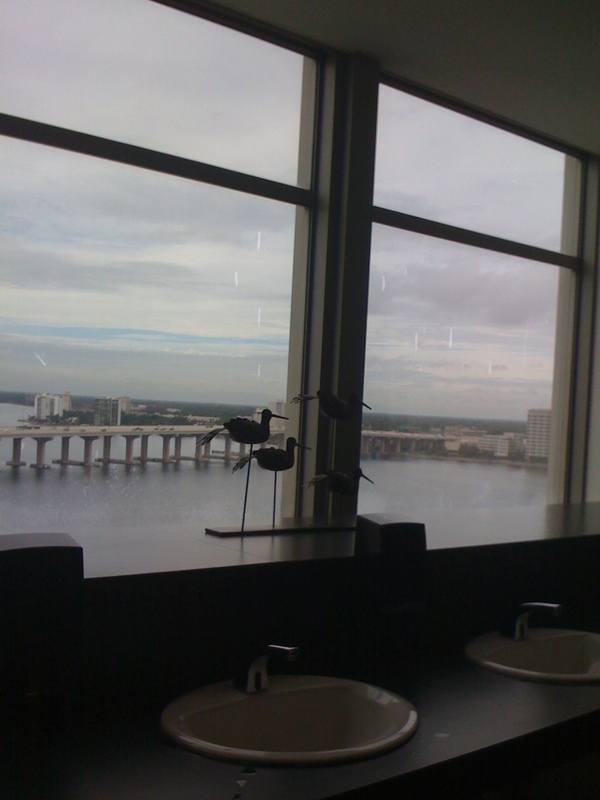 The office is so nice that this is my view from the BATHROOM! My friends make me really happy! They offer such good advice and positive lifting words when things get tough. I am very thankful for them! Sherry, Jes, Heather, Stephanie, Kelly, Violet, Sarah thank you all! 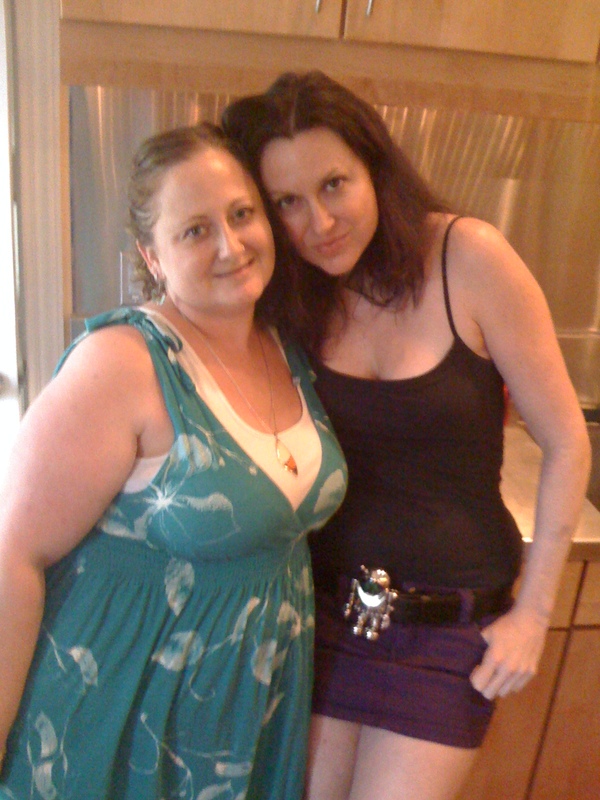 Me and one of my besties....Sherry! * King Fantastic – his music is making me move * Waldo trip with Heather * Just Dance on Wii – Can you say Spice Girls * Get togethers – Fall Birthday parties * the Amy’s singing me Celebration! * Chris & Chad buying me congratulatory rounds at the bar. * Sunday funday or how we spent our hangover…right Steph? * jamming to Ghostland Observatory & Die Anterwoord * bumble bee puppy costumes!